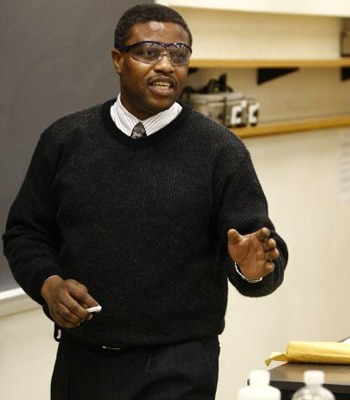 NIU alum Olujide Akinbo has been promoted to a full chemistry professorship at Butler University, crediting the extensive hands-on experience and extended family at NIU for his success and adjustment to the American culture. “Coming to NIU gave me a tremendous amount of hands-on experience in the instrumental aspect of the discipline,” the Nigerian native said. Because the NIU graduate program provided funds for conference presentations, Akinbo said, he received a “Super Bowl experience” by competing against peers from other labs. Akinbo graduated with a doctorate in chemistry in 1997 from NIU, coming to the United States from the University of Ibadan in Nigeria, where he graduated with a bachelor’s and master’s degree. His post-doctoral work was with the North Carolina-based Research Triangle Institute (now called RTI International), one of the best labs in the country. He worked at the institute for about 30 months as part of a project to make changes to the policy on arsenic levels in drinking water. With 14 years of experience as a chemistry professor, Akinbo views his work as a calling instead of a profession, although he originally wanted to study medicine. NIU provided him with a holistic approach because all the resources were there to develop academically, spiritually and physically, he said. He feels indebted to faculty members in the NIU chemistry department and to community members, such as the ministers of Judson Baptist Fellowship, for their support during his college years. He recalled NIU professor Jon Carnahan, his dissertation adviser, assisting him beyond the classroom. Carnahan, who chairs the Department of Chemistry and Biochemistry, helped him adjust to the new academic culture. 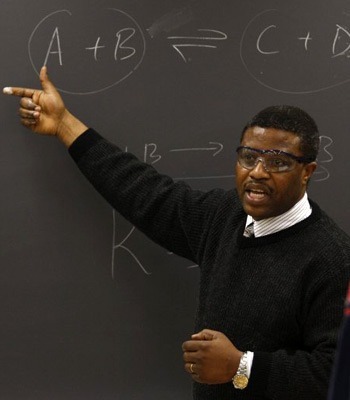 By the time Akinbo was finishing his doctorate, he was raising four children. He met his wife, a physics major, at the University of Ibadan. Their children are now ages 16 to 20. “As you can see, it took a village to see us through Northern,” he said. 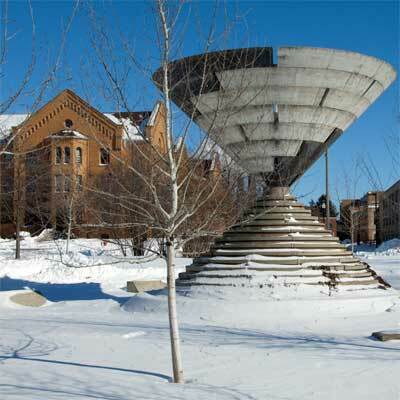 Adjusting to the cold weather of Illinois was another challenge. Other than that, he has learned to cope with cultural differences because of university and community support. Through his passion, dedication and sense of humor, he has found the right chemistry to make a difference with his students.